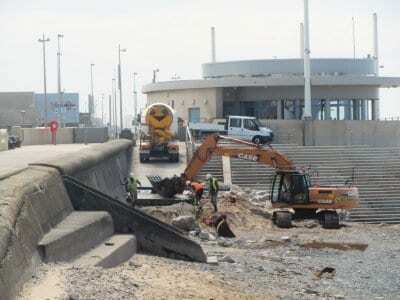 The access ramp to the beach at the side of the cafe has been extended as part of the current beach works. 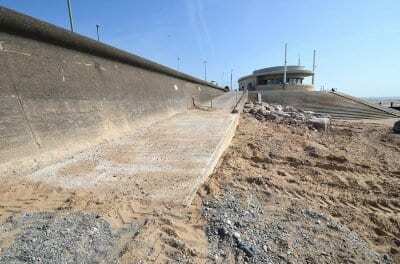 Presumably, years ago when the slade was built to the beach, the sand levels were very much higher, because the current ramp stopped short in what has now become mid air! 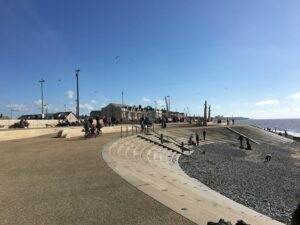 This ramp provide vital access to the beach for all kinds of vehicles, and so to make it passable regular works have been carried out to push sand and shingle back to the bottom of it to make it passable. 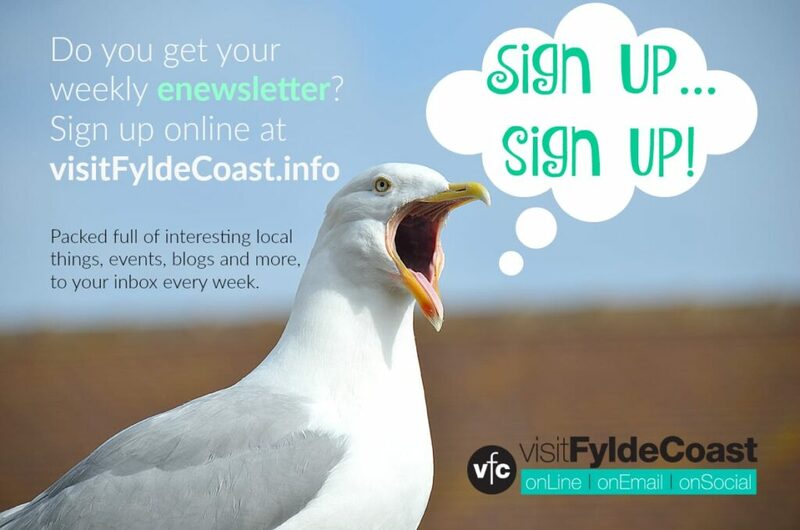 Of course every time there is a rough tide, the sea washes it all away again, so this vital access point has been dependent on a Wyre Council workman and a digger being available which is far from ideal. 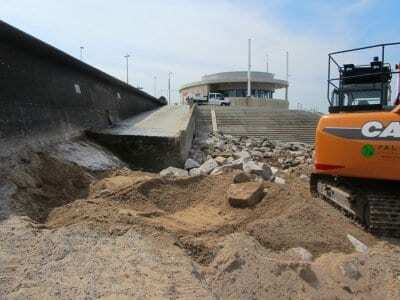 While the contractors are on site carrying out the beach improvement works, the ramp has been extended to improve access. 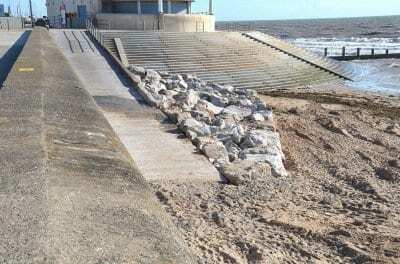 The rocks between the base of the ramp and the steps of the new curved sea defences have also been repositioned to make them more effective at reducing erosion from swirling waters on this corner.